Employee Rewards Your People Will LOVE! Recognizing great performance is important, but rewarding these contributions really makes the difference. If you're looking for employee awards that are meaningful and motivating, take advantage of our rewards collection. With more than 3,000 items deliberately selected by our team of professional merchandisers, there's something for everyone. What will your employees get from shopping our unique rewards collection? The hottest and trendiest items. New selections are added monthly including the latest electronics, designer hand bags, gift cards, charitable giving options, event experiences and more! Fast and flawless reward delivery. With a 99% shipping accuracy, our delivery service is best in class. A personalized experience. 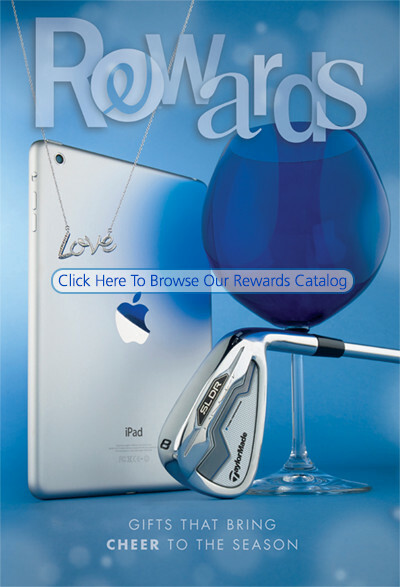 Our new and improved rewards site features exciting deals, rating and reviews, wish lists and gift wrap options. Your people in your employee recognition program are motivated in different ways and by different things. That's why our rewards experience provides a choice of items that inspire performance and create lasting goodwill with your company. With 3Cheers, you can recognize and reward your employees with meaningful rewards and achieve new levels of engagement and performance.